Apple has announced its new Apple iPad Air, which features a new slimmer design than the previous generation iPad, which you can see in the photos below. The Apple iPad Air comes with a 9.7 inch Retina Display, and a new thinner bezel which is 43 percent thinner than the previous model. 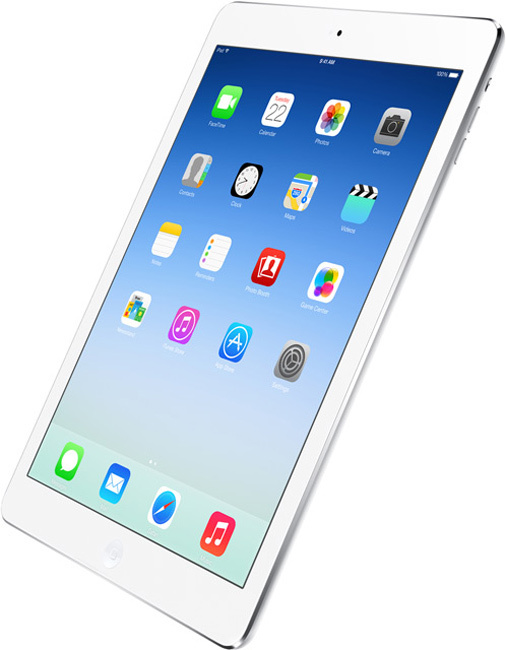 The iPad Air is also lighter than the previous one and weighs in at just 1lb, it is powered by the new Apple A7 64-bit processor that launched in the iPhone 5S. The iPad Air will be available in silver and space gray, the same colors as the iPhone 5S, although there is no gold color option like the 5S. 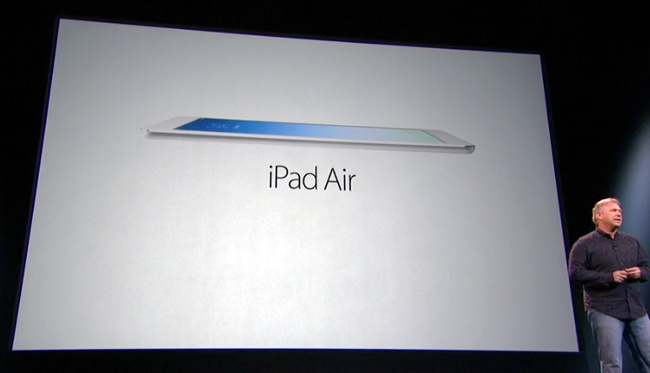 The iPad Air comes with a HD FaceTime camera on the front, and a 5 megapixel iSight camera on the back, the rear camera is capable of full HD video in 1080p. The iPad Air will launch in the US and UK, plus a range of other countries on the 1st of November and will retail for $499, Apple will also continue to offer the iPad 2 along with the iPad Air.